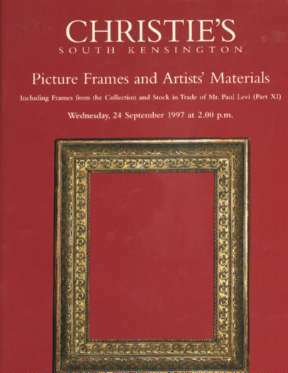 Christie's South Kensington Picture Frames and Artist's Materials 9/24/97. 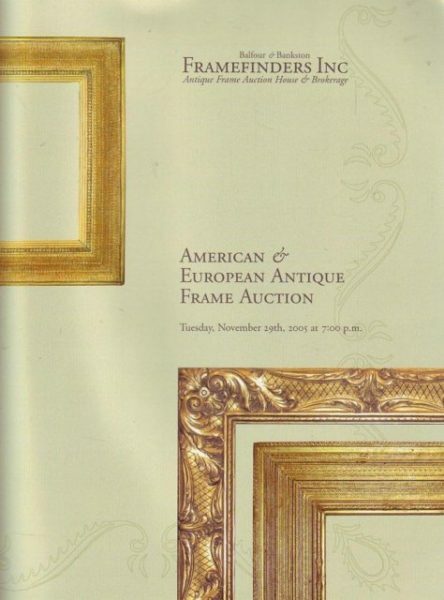 This post auction catalog consists of pages with lots all illustrated and all described in detail. Catalog is in fine condition. 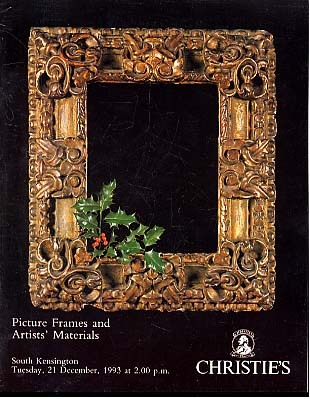 1993 Christie's Picture Frames and Artist's Materials, South Kensington, 12/21/93.